At the pinnacle of his fame in 1965 and 1966, an aura of absurdness seemed to trail Bob Dylan everywhere he went. Just as he’d was finding a new artistic voice — playing an incendiary brand of rock music that proved seminal to many of his contemporaries and be praised by critics — many in the audience revolted. They booed every performance. The onstage insanity followed him in a string of press conferences that he gave to promote the tour. The events became circus-like as rock’s most famous songwriter was forced to answer a stream of ridiculous questions from a pack of middle-aged and woefully under-prepared journalists. Dylan’s answers were mostly deflective, sometimes combative, but often hilarious. Question: Well, Bob, in your opinion, then, is there one man who can save the world? The man that Dylan was speaking of was a prime figure in his entourage during the time and for the years to come. This same man had a profound impact on the ’60s cultural shift, fostered some profound changes in pop music, and had a ring-side seat to all that unfolded. Aronowitz died on Aug. 1 in Elizabeth, N.J. He was 77. More than a punchline and sometimes called “the godfather of rock journalism” by his admirers, Aronowitz gained cred in the eyes of the pop in-crowd and the nascent rock underground for his column in the New York Post. He is often cited, along with the late Ralph Gleason, with being among the first critics to treat rock’n’roll as a valid art form. More than just his writing, however, Aronowitz is famous as pop music’s matchmaker and for being at the right place at the right time. In the early and mid-’60s, he introduced the likes of Allen Ginsberg, Bob Dylan, and the Beatles to each other. These meetings, as he and others would tell it, would have profound impact on the music created by these soon-to-be legends. “I was the one who hooked everybody together in those days,” he later wrote. As he struck friendships with the stars, Aronowitz was also an eyewitness to several watershed events of the decade, including the Woodstock and Isle of Wight festivals in 1969. And if that wasn’t enough, Aronowitz played a pivotal role in the early development of the Velvet Underground. But despite his years of running with rock’s elite — and maybe because of it — Aronowitz’s life soon unraveled by the early ’70s due to family tragedies and rampant drug abuse. He would eventually turn his life and career around in the ’80s, taking his diarist-style and his backlog of behind-the-scenes, dressing room stories to the only avenue left to him: the Internet. He also battled an array of health problems. Aronowitz was born in Bordentown, N.J., and attended Rutgers University, where he graduated with a journalism degree in 1950. After several apprenticeships in newspapers in New Jersey, Aronowitz made his way to the New York Post. He later claimed an assignment to cover the Beat writers had a profound impact on his life and his writing. Starting a trend, Aronowitz would eventually befriend his interview subjects, including Ginsberg and Jack Kerouac. Likewise, profiles about a young Bob Dylan and the Beatles quickly led to close friendships. “I thought they should met,” Aronowitz later said. As legend has it, the infamous meeting happened on the evening of Aug. 29, 1964. The Beatles were ensconced in Hotel Delmonico in New York City when Aronowitz and Dylan paid them a visit. Aronowitz introduced Dylan to the group, who in turn, allegedly made an introduction of his own: turning the Fab Four onto marijuana for the first time. Whether the meeting had a profound impact on those involved is hard to pin down. The artistic evolution that both parties underwent is not. Shortly thereafter, Dylan would ditch his folk music puritanism for a wordy brand of rock’n’roll and the Beatles would mature as songwriters, morphing from focusing on Tin Pan Alley simplicity to deeper, introspective lyrics and wilder sonic explorations. 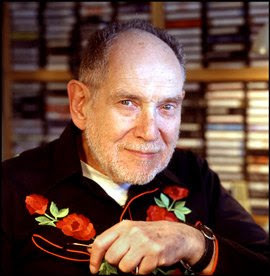 By 1969, Aronowitz’s role as unofficial scribe of the pop underground solidified his position as a columnist for the Post. He would later pen stories for the Saturday Evening Post, the Village Voice, and Rolling Stone as well. Along the way, Aronowitz began to manage some of the acts that he’d stumbled upon. One group that he discovered was the Velvet Underground. Aronowitz would become the group’s first manager and succeeded in getting them their first paying gig: playing at a dance at Summit High School in New Jersey. Aronowitz later got the Velvets a gig at a Greenwich Village bar, where the band came to the attention of Andy Warhol. A short time later, the group fell into Warhol’s orbit and Aronowitz was out as manager. Aronowitz’s association with the Dylan circle continued into the late ’60s. He claimed Dylan was a frequent visitor at his suburban New Jersey home and that the Bard wrote “Mr. Tambourine Man” in the kitchen. Aronowitz allegedly drove Dylan to pick up the motorcycle that would largely figure in the 1966 motorcycle crash that sent Dylan into seclusion for two years. Based on his writing, Aronowitz seemed to revel in his access to the stars, but also loathed his role as self-described “hanger-on.” (It’s hard not to see the parallels between Aronowitz and super groupie-turned-author Pam Des Barres.) He acted outraged when one writer called him “a notorious pop star lackey.” He heaped praise on his famous buddies, but often noted that most no longer spoke to him. Like many disillusioned followers, he would in the years to come often castigate himself, calling himself a fool for allowing himself to be burned by many of his former friends. Bitterness would make its way into his remembrances. “I consider Bob one of the greatest artists ever born, but he’s not the kind of guy I would trust with my wife,” he later wrote. By the early ’70s, Aronowitz’s life began to unravel. He was fired from the Post for managing bands while he was supposed to be covering the scene — a conflict of interest that he said his superiors knew about years prior with no complaint. At around the same time, his wife Ann died from breast cancer. He rapidly descended into a prolonged struggle with drug addiction. He later claimed he’d turned to drug dealing to get by. He would eventually get clean in the ’80s but he’d fallen out with many of the famous faces that he’d known. Besides the Web site, he self-published a pair of books that detailed the heady times that he’d lived through. (The books, “Bob Dylan and the Beatles” and “Bobby Darin Was a Friend of Mine,” both contained he’d written about on his site. According to New York Times, Aronowitz was working on a third book, tentatively titled “Mick and Miles,” that would delve into his experiences with Mick Jagger and Miles Davis. He’d also appear on TV documentaries now and again, always dressed as a cowboy in the same bright blue shirt with a deck of cards stitched near his shoulders and accented with red pipping. Battling a rough slur (he suffered a heart attack in the mid-’90s), he’d talk about the climatic meeting that he’d masterminded and how it changed Western culture. In recent years, he endured health problems and let on that he was battling cancer. I only ever spoke to Al once on the phone. I had been e-mailing him once in awhile when I discovered his site and I was set to interview him for a book project I was working on. I thought his insights and memories might prove helpful. He was very eager to talk and called my house several times before we finally connected. When we did, however, Al seemed oddly withdrawn. The great storyteller had no tales that he was willing to part with. He said he’d been burned by other writers who weren’t present to the events that he’d seen and didn’t know the people that he knew. All he offered was anger, bitterness, resentment and slanderous charges against his ex-friends. I quickly opted to end the interview as it seemed to be going nowhere fast. Afterward, he seemed apologetic. I guess you could say that I was a bit disillusioned too. His hurt — it seemed — ran deep, and the memories that were his trophies were also a source of great pain for him. He added me to his e-mail list that updated everyone when a new edition of the magazine was posted. I e-mailed him occasionally if I found something that might interest him or to wish him well when he’d let everyone know of his health troubles. Although the quote that many obituary writers tagged to him — “the ’60s wouldn’t have been the same without me” — seems to wrap Aronowitz in a pretty bow, I prefer to think of him as constantly doing what every writer sets out to do: tell a story. In his final years, it was all he could do, and he did it even if the process wasn’t enjoyable or he painted himself in a less than favorable light. Tags: 1960s, Al Aronowitz, Bob Dylan, columnist, critic, interviewer, music writer, New Jersey, New York Post, rock, Sixties, The Beatles, Velvet Underground. Bookmark the permalink.